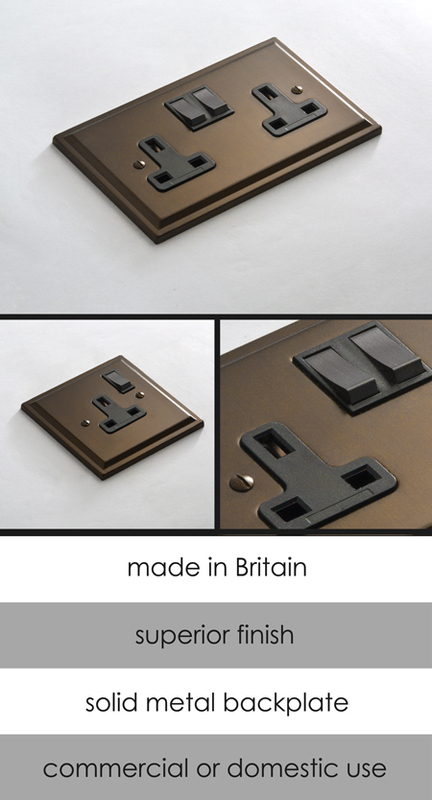 Suitable for both contemporary or traditional interiors and made in Britain, these household sockets are finished in an attractive bronze finish. Available as a single or double plug socket, we also supply a full collection of matching electrical sockets and light switches to compliment. This electrical fittings range is made to special order, please allow 6 weeks for delivery.